Our new bottom has just the right amount of detail and the best fit. 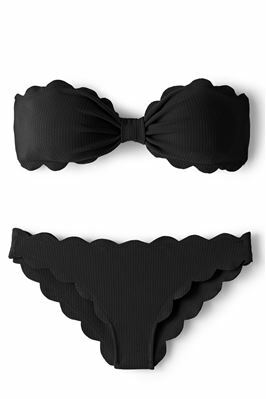 This modern banded bottom features a wide waistband that flatters your figure. The detailed colorblocking adds some spice. Sits straight across the hip. Special features include: Matching colored lining. Coverage: Moderate.